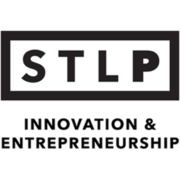 From entrepreneur support organizations and tech events to venture capital firms and nationally-ranked accelerator programs, the St. Louis region continues to grow. 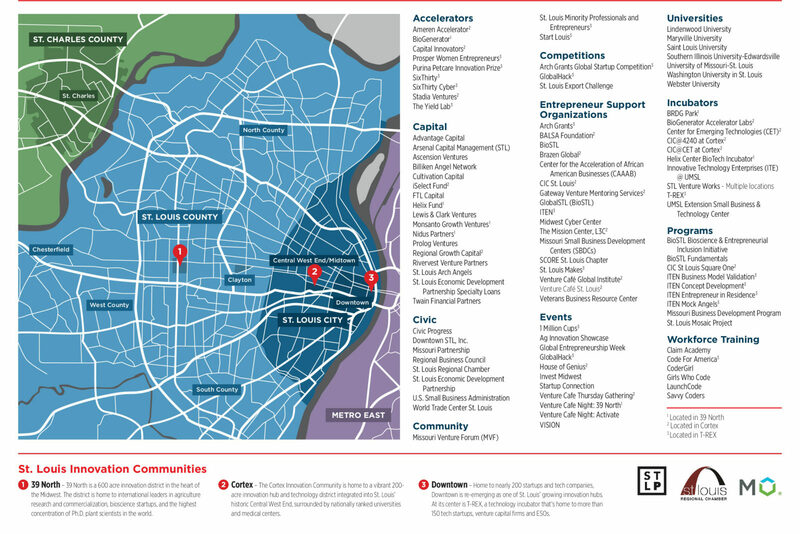 Below is a snapshot of the community surrounding St. Louis’ entrepreneurs. The St. Louis region attracts innovative agricultural organizations from around the world. With global ag giants like Monsanto, renowned research institutions like the Donald Danforth Plant Science Center and emerging 39 North innovation district, St. Louis is uniquely positioned as a global leader in agricultural technology. 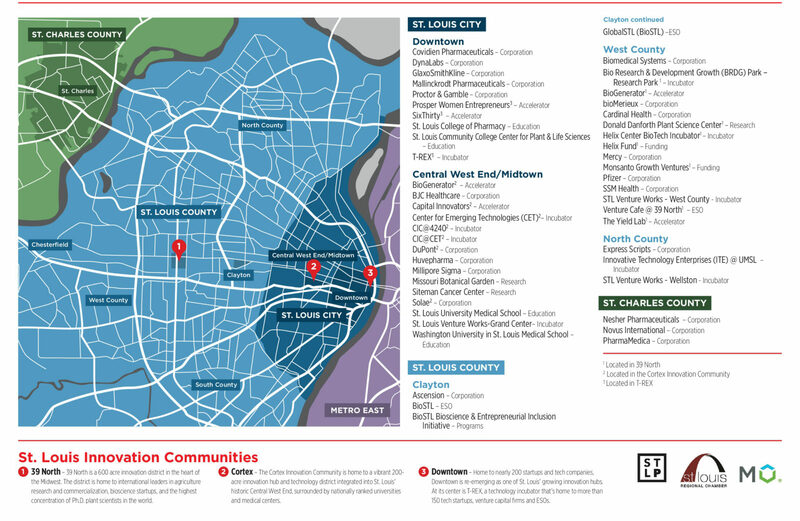 The St. Louis region has been a hub for BioTech for decades. 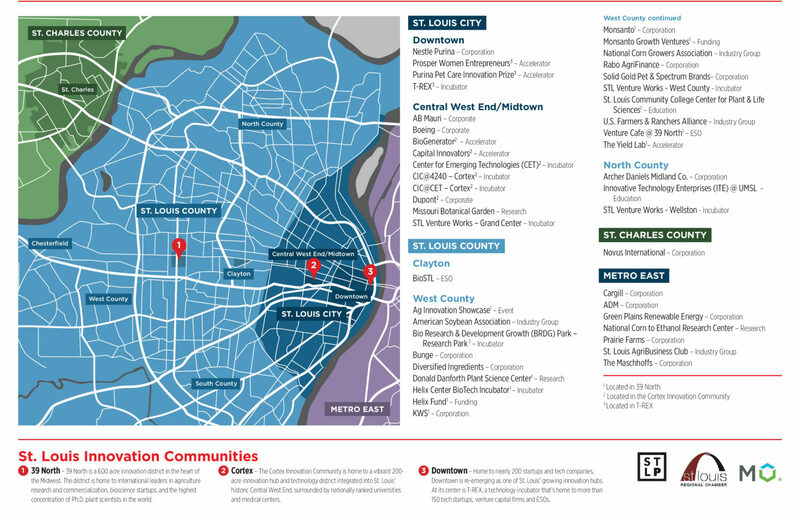 With St. Louis’ concentration of world-class scientists producing cutting-edge research in medical and plan biosciences and growth of innovation districts including the Cortex Innovation Community and 39 North, St. Louis’ opportunity for the biotech sector has never been greater. 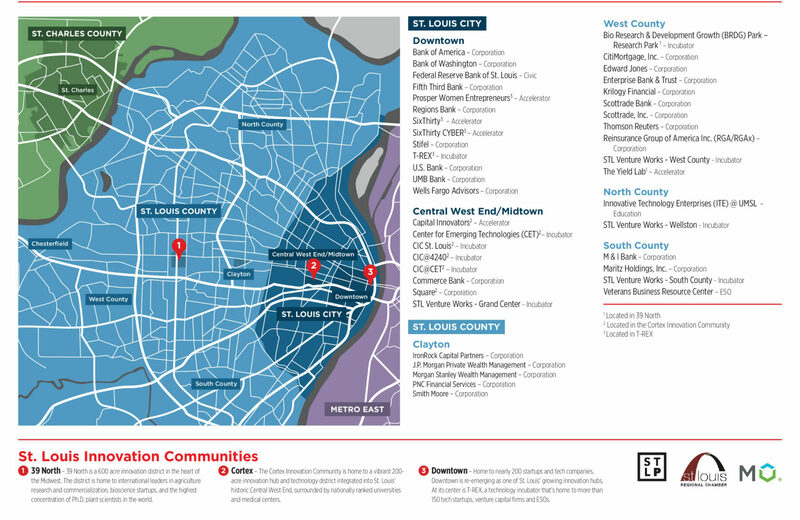 The St. Louis region is uniquely positioned as a hub for cyber security. 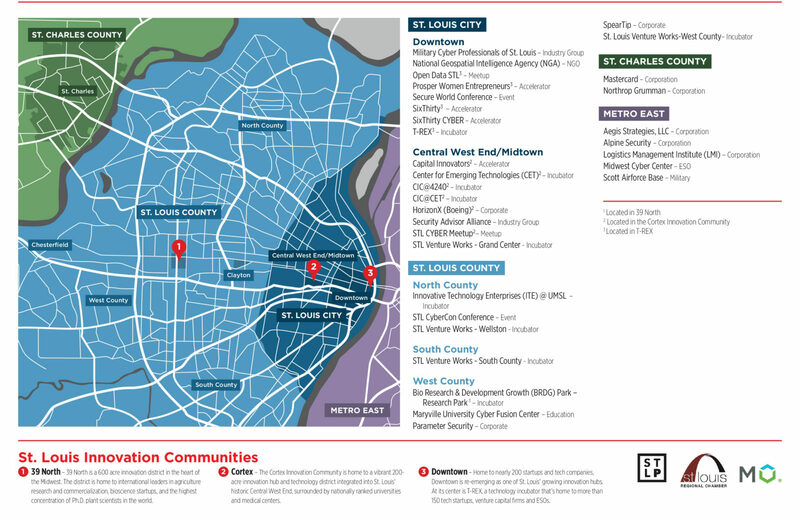 Anchored by organizations like the National Geospatial-Intelligence Agency (NGA) in Downtown St. Louis and Scott Airforce Base in the Metro East, St. Louis is primed to attract cyber professionals from around the world. The St. Louis region attracts FinTech startups from around the world due to the area’s leadership in financial services. Three of the 10 largest U.S. financial advisory services are based in the region and large financial firms and banks of all sizes have a presence here.